6'3" 75 lb. 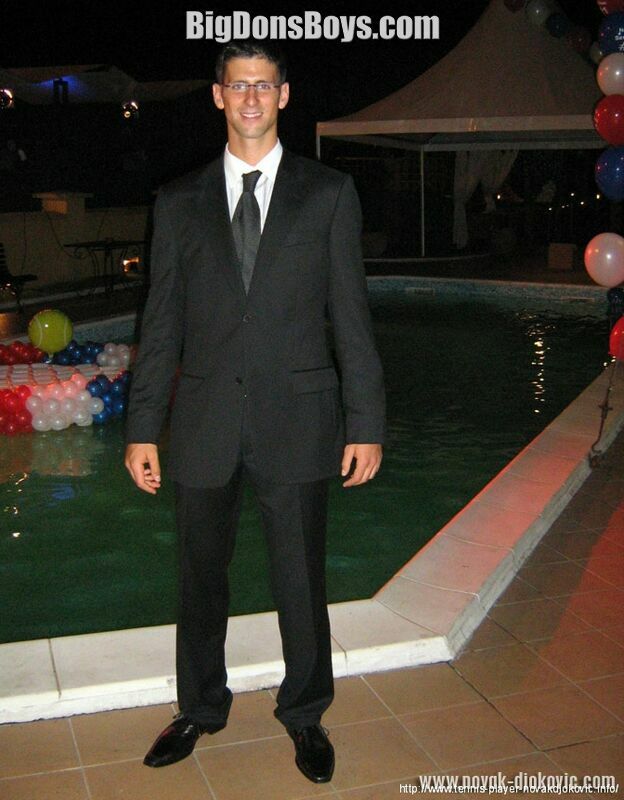 Novak Djokovic is no Djoke in the looks department. Finally a pro athlete who is my height who weighs less than me. I'm sure all the aerobics in tennis keep this stunning Serbian very lean. According to Wikipedia Djokovic, currently (9/2008) the number three tennis pro in the world, is an all-court player. Djokovic was born May 22, 1987 in Belgrade, Serbia, then Yugoslavia. He was born to father Srđan and mother Dijana, and is the oldest of their three sons. 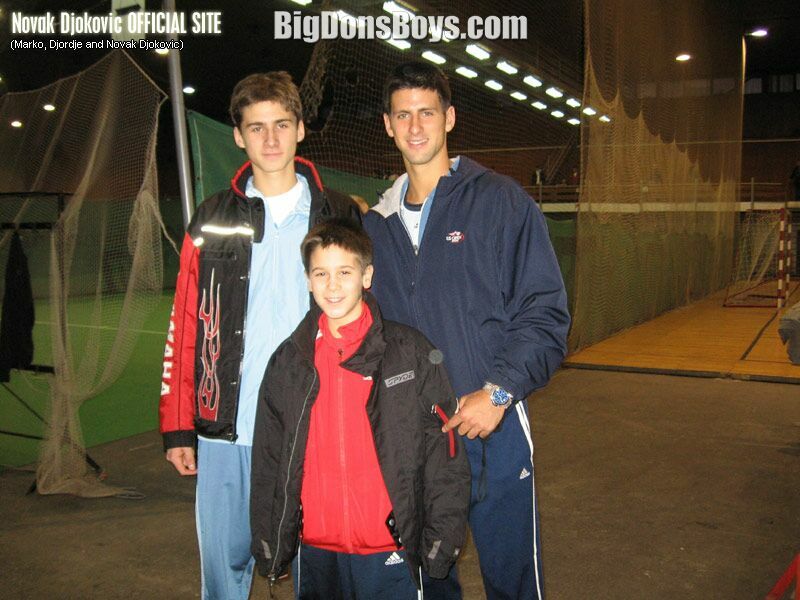 His two younger brothers, Đorđe and Marko, are also tennis players with professional aspirations. Djokovic started playing tennis at the age of four, and when eight was spotted by Yugoslav tennis legend Jelena Genčić, who stated "This is the greatest talent I have seen since Monica Seles. 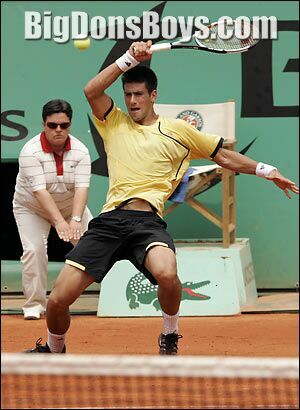 Djokovic is also known for his often humorous off-court impersonations of his fellow players, many of whom are his friends. This became evident to the tennis world after his 2007 US Open quarterfinal win over Carlos Moya, where he entertained the audience with impersonations of Rafael Nadal and Maria Sharapova. 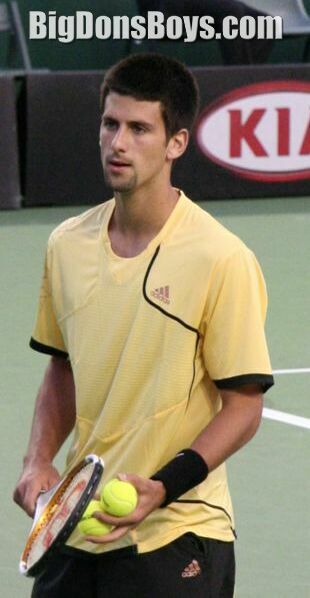 In February 2008, Djokovic conveyed his support via video link to a mass rally in Belgrade against Kosovo's declaration of independence from Serbia. Djokovic speaks Serbian and English fluently. He also speaks a bit of Italian and German. His greatest strengths includes his dominant groundstrokes, especially the forehand which are powerful, deep, well angled, and hit with strong topspin, although his preferred groundstroke is the backhand. With considerable speed, his serve is one of his major weapons winning many free points from his flatter first serve and employing a sharp curving kick serve as his second serve. Djokovic, while very sound and powerful from the baseline, often finishes points by coming to the net similar to Roger Federer. He also utilizes a well-disguised backhand underspin dropshot and sliced backhand (groundstroke) in his repertoire. In 2012 he was profiled on the biggest news show in America, 60 Minutes. Novak Djokovic and his gorgeous girlfriend have a photoshoot in the English countryside.